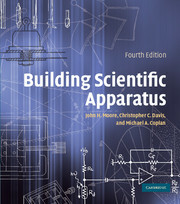 "I will definitely keep this book in my laboratory as a general reference for experienced laboratory members, and particular chapters will be assigned reading for new research students." "This very complete, thoroughly researched tome is about how to improve one's research by eliminating or lessening the impact of errors. 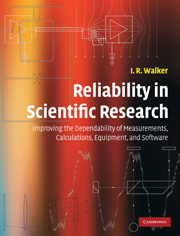 I would recommend it to anyone involved in research that uses the equipment that the book discusses." 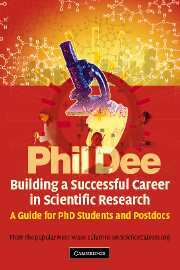 "This should be compulsory reading for all embarking on a career in experimental science, for if its advice is heeded a great deal of waste of time and effort will be avoided." "Having a wise mentor share his two decades of lab experience would be very helpful for a newbie researcher. The next best option is to consult this book, which distills the same advice in print. The writing is clear and succinct, and it is backed by key references." 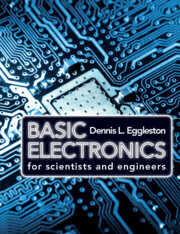 "The book covers a multitude of applications, from soldering to software design, including chapters on mechanical devices, vacuum systems, cryogenics, optics, electronics and even wiring. Each comprehensive chapter comes complete with references and the volume has a 24-page, double-column index. Walker, a researcher at Cambridge University's Cavendish Laboratory, is pragmatic and straight-talking from the start. In his analysis of 'simplicity' he laments that 'the imperative to keep things simple is usually well understood, but not always practiced." I. R. Walker is a researcher at the Cavendish Laboratory, University of Cambridge, where he has worked for over 20 years. He received his Ph.D. there in 1992, and was an Assistant Director of Research from 1995 to 2002. His principle line of research is the physics of superconductors and other strongly correlated electron materials at ultra-low temperatures, and the development of techniques for subjecting these materials to high pressures under such conditions.